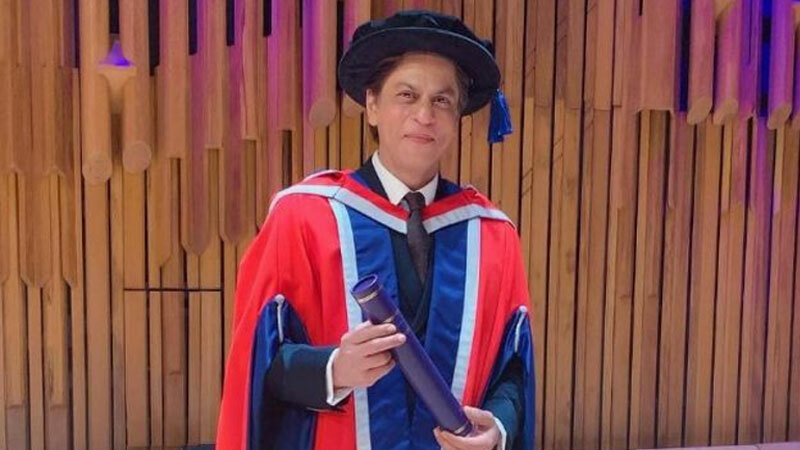 After receiving honorary doctorates from the University of Bedfordshire and the University of Edinburgh, Bollywood superstar Shah Rukh Khan has received an honorary doctorate in philanthropy from the University of Law, London. The actor received the degree during a graduation ceremony for more than 350 students on Thursday. “I believe that charity should be done in silence and with dignity. One cannot speak about their charitable acts because it loses its purpose. I have been privileged to be able to use my status as a public personality to champion causes close to my heart,” Khan said in a statement. Over the years, Khan has established himself as a successful actor, film producer, television host, philanthropist and entrepreneur. His non-profit organisation Meer Foundation primarily works with acid attack victims and aims to initiate change at the ground level to build a world that empowers women. He was honoured with the Crystal Award for his work towards acid attack survivors at the World Economic Forum 2018 held in Davos.